Digital Transformation, in terms of cloud technology, advanced analytics, blockchain, Internet of Things and so on, is, and if not will soon be, affecting every industry, in every sector, everywhere. So it’s no time to be on the back foot – businesses of every size need to start, if they haven’t already, embracing new technologies in order to innovate their business models if they mean to thrive in an increasingly interconnected world. 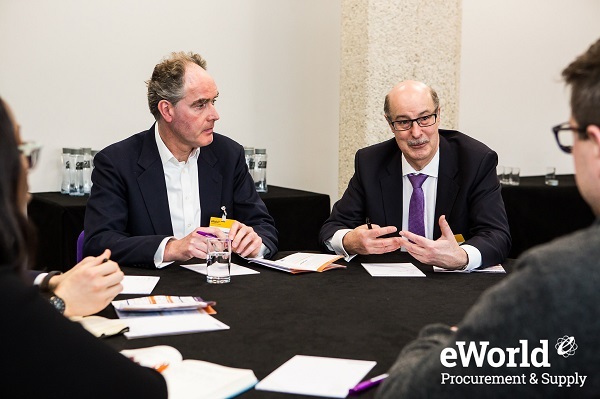 That was the message from Bastiaan van Drempt, Director of Coact Consulting Group in his discussion session at eWorld last month. He aimed to give delegates an idea of the guiding principles they would need to help govern digital business strategy, and therefore, what to look for in a technology provider or partner. Given the subject, and with a whole exhibition space filled with solution providers right outside the door, you might have thought this session would have taken place early on in the day. Pity then, that it was the last slot of the day, after delegates had already had an opportunity to interact with the exhibitors and sponsors. Nevertheless, it was a very useful session, sparking debate and giving attendees some food for thought to take away with them. There was a diverse mix of industries in the room – oil and gas, food manufacturing, airlines, banking/finance, but interestingly, no tech providers! Bastiaan led the discussion – and kicked off with the very direct question: “So, what do you think of it so far?” Had the delegates found anything new? Did they get answers to all their questions? What was missing? And – answer came there plenty! This was exactly the kind of thing Bastiaan was looking for. It led nicely onto what we need to be looking for in our digital transformation or journey, and what we need to help innovate our business models. It goes further than just picking a great solution off the shelf, he said, it’s about what you do with it in your business, how you map your processes, how you build it and expand its usage. And it’s not easy – he conceded. But, if you get it right – you will truly be a ‘smart’ enterprise. And that means, engaging people, integrating operations, not just systems, building a community with shared intelligence. People – You have to think about your people and their roles. How do they fit in with the strategy? It’s not just about aligning with the technology, it’s about strategic partnerships – you have to work with your chosen partner’s people as well, not just their technology. Process - You have to really think about your process; it takes time to learn and develop a culture. Sometimes language may have to be adapted to the type of organisation, and agility is needed to be able to engage with many suppliers. Data – You need a strong baseline of accurate data, and a team that can accept it in any format, work with it inside the platform, and understand and leverage it. Goals – You must scope out what the longer-term goals are and align them with the wider organisation. This isn’t a finite process – it’s ongoing. Culture – You must develop a culture that accepts that change needs to happen. Trust – You need to build an environment based on trust, this means getting everyone on board – including suppliers. Training – Target training at all levels, whether digital nomad, immigrant or native. Whether millennial or senior – it’s important to remember that everyone has other skillsets and knowledge they can bring into play. It’s about symbiosis. Realistically you can get your tech solution up and running in 10 weeks – but for it to work in practice takes much longer. People have to understand why they are using it – it’s this human element that often gets ignored. It’s important to get cross-border teams of excellence set up – to break down silos, maximise knowledge and to help gain high performance. Leading from the top is paramount, taking everyone with you. 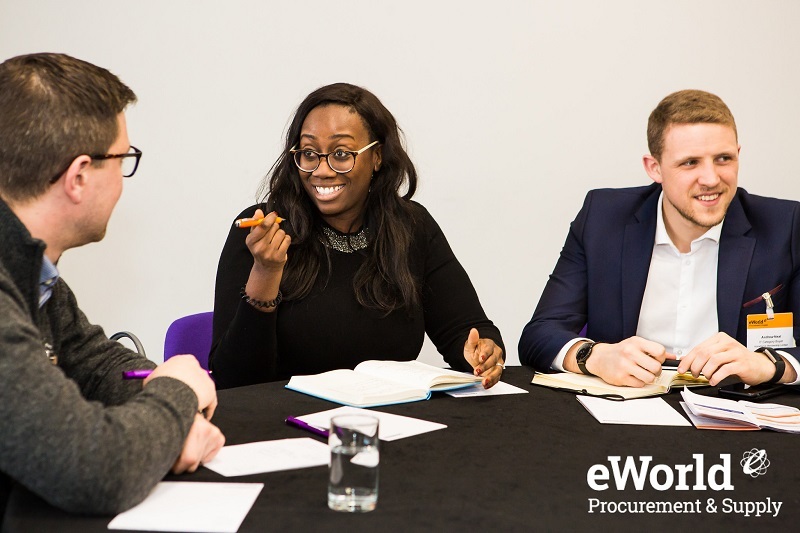 Procurement should be seen as the value add in this – you will get value from sitting with people in the business, understanding their needs and direction – get out of your comfort zone and don’t always talk to the same people! The key message that resounded above everything else was that strategic partnerships are at the cornerstone of digital transformation success. Finding the right partner, that fits your organisation and understands its goals, is the surest way to succeed. Collaborating and connecting is the way forward. This took the discussion into an Integrated Governance Framework approach – but sadly we just didn’t have enough time to pursue that fully. We touched on the need to have someone to link the steering team with operations. Does Procurement have the time and resource to do that? Would it require a chief transformation officer? Or the CPO? Or the chief digital officer? Maybe that’s a subject for another day, and one which Bastiaan may well come back to us on soon.